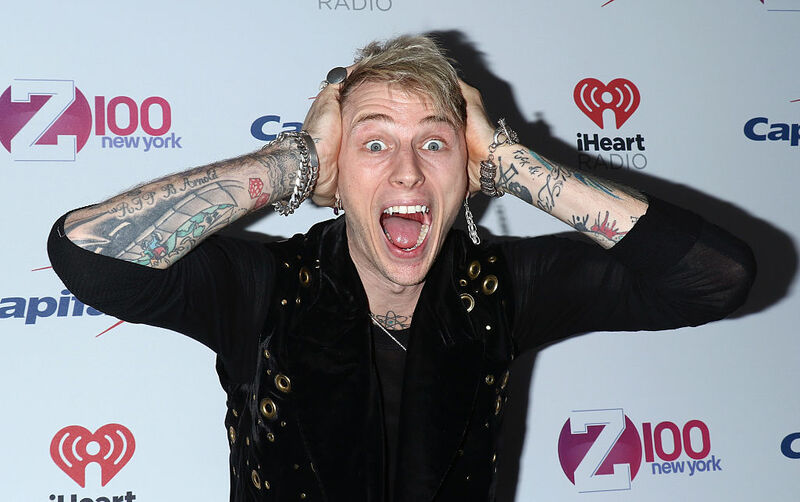 Machine Gun Kelly delivered his latest message to Eminem making sure the Detroit rapper knew who he was talking to while on a radio show. MGK appeared on Breakfast Club Power radio station today (September 20) to talk about his upcoming EP, Halsey, and his ongoing battle with Eminem. The two rappers have had beef for six years now, since the 28-year-old called Eminem’s daughter Hailie ‘hot as f*ck’. They have been going back and forth with their anger, using songs, interviews and tweets to direct barbed messages to one another. 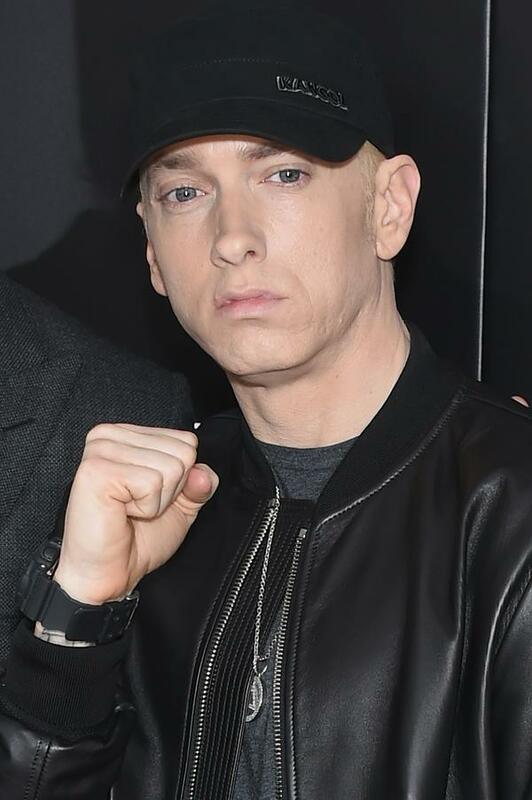 The battlefield was quiet immediately after Kelly’s comment about Slim’s daughter, but Eminem eventually made his opinions known in one of the songs on his most recent album, Kamikaze. But keep commenting on my daughter Hailie. In today’s interview, Kelly admitted that the diss track had caught him off guard. He should have said it six years ago. Truth be told we had handled it behind the scenes six years ago. Kelly said he’d spoken to Eminem’s manager Paul Rosenberg about the situation at the time, and that he had apologised and removed the tweet mentioning Hailie. 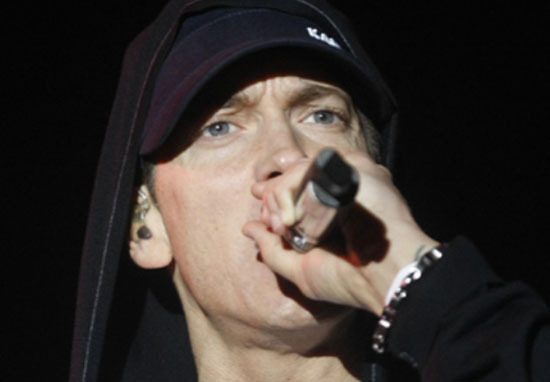 But it seems the rapper still couldn’t resist responding to Em’s diss track, and released a song in response called Rap Devil – a nod to Eminem’s Rap God. How the f*ck can him and I battle? 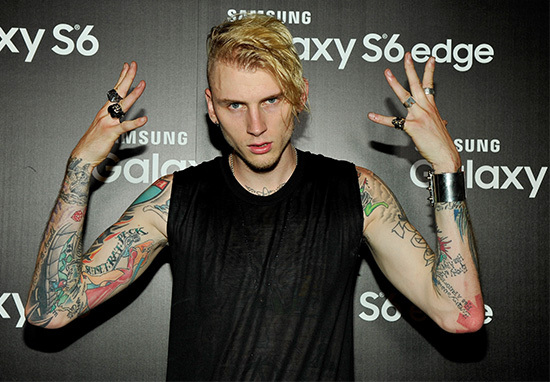 Kelly spoke about the track during the interview, holding his hands up as a sign that he was rating the show a six out of 10, as he had done in a tweet following the Killshot release. Adding to the insult, Kelly took his latest shot with some eye contact aimed directly at Em. You wanna talk about man buns? You wanna talk about a hairstyle I wore for a movie? I’m an actor, homie, how disconnected are you? You call me a mumble rapper? Oh my God. Can we just pour some out for this old dumb*ss? Taking the cup of tequila he had been drinking throughout the show, MGK poured some of the liquid on the floor. Not only can he not rap, but he can’t do math either so I don’t know what’s wrong with him. I’m sure the saga isn’t over just yet; fans will no doubt be waiting desperately to see if Eminem has anything to say in response to Kelly.